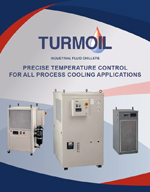 Turmoil application engineers are specialists, available to help you select or design a cooling system to meet your specific needs. They are very familiar with your applications and our equipment. Turmoil prides itself on being able to provide accurate technical data when you need it. So, if you need help, give Turmoil a call.